You’re on this page, so I take it you’re a big fan of the NFL, and therefore already know much about how the league is structured. However, just in case you’re the type that is only interested in what happens on the field on match day, let’s give you a brief scoop on what happens when the players are done running into each other. Recently the NFL teams have seen their values catapult, with the Dallas Cowboys sitting on top with an estimated value of $4 billion, now, that is far more than any other sports team in the world, and suffice it to say that the NFL is the richest/most valuable sport league not just in America but in the world, beating the NBA, MLS NHL and even the widely-loved EPL. The rapid rise in the NFL team values also means that their owners are getting even richer. And while these owners were already rich before owning NFL teams, their choice to invest big in the franchise have more than paid off, helping them stay afloat has billionaires. According to Forbes, here are the 10 richest NFL Team owners. Jimmy made his billions as CEO of truck stop company, Pilot Flying J, a company he inherited from his father. He snapped up the Cleveland Browns franchise for $1 billion in 2012. The franchise which was then worth $977 M is now valued at $1.5 B. As revealed in the rather slow rise in value, the team’s performance has been relatively poor, but Haslam whose company enjoyed an amazing 25% profit in the past year doesn’t seem overly bothered. There are rumors that fans of the team are making plans to buy up the whole franchise for the purpose of bettering its performance. Biscotti co-founded Allegis Group, one of the world’s largest private staffing company with a revenue of over $11 B. His purchase of the NFL franchise helped to enhance his company through popularity. Last year, his team’s running back, Ray Rice was found guilty of domestic violence, which led to his indefinite suspension, causing the team to suffer repercussions, but that is now water under the bridge and the Ravens are up, winning back-to-back games, a few championships and qualifying for playoffs. The Baltimore Ravens team is now valued at $1.93 B. Unlike his counterparts, Rob didn’t buy the team but formed it from scratch, all because of his passion for bringing the game to his hometown. Before his 80% stakes in Houston Texans skyrocketed to $1.85 B after half a billion rise in the past year, Rob first acquired affluence from the sale of his Cogen Tech to energy company, Enron for $1.5 B. His team is now valued at $2.5 B. That is sure to rise as he is keen on improving the team’s last season’s performance. After the death of team founder and pioneer owner, Ralph Wilson, there was an immediate need for a new owner. In a bid to buy the franchise in September 2014 which included real estate billionaire Donald Trump, Pegular emerged as the winner, making him a newcomer to the list. In addition to Buffalo Bills, the real estate and natural gas tycoon also owns NHL’s Buffalo Sabres, AHL’s Rochester Americans, and the NLL’s Buffalo Bandits. The NFL franchise is currently valued at $1.4 billion. In 1995, after his eponymous conglomerate made huge profits, Robert bought New England Patriots for $175 million, considering the team’s current $3.2 billion value, the purchase was a brilliant one. However, Kraft owes the substantial value of his team to the numerous successes they have achieved under his era, which includes 14 AFC titles, 4 Super Bowl titles and 16 playoff appearances. He also owns MLS side New England Revolution. He bought the Dallas Cowboys for $150 M in 1989 and today at a value $4B, it isn’t just the most valuable NFL team but also the most valuable sports team in the world, taking the former position for the 9th consecutive time. His team makes millions every year from sponsors and its AT&T stadium’s luxury suites. In pop culture, the billionaire has featured in Papa John and Pepsi commercials, and also Season 18 episode 1 of animated sitcom, South Park. Khan is also a newcomer to the list. After buying the franchise in 2012 for $770 M the team is now valued at $1.48 B. 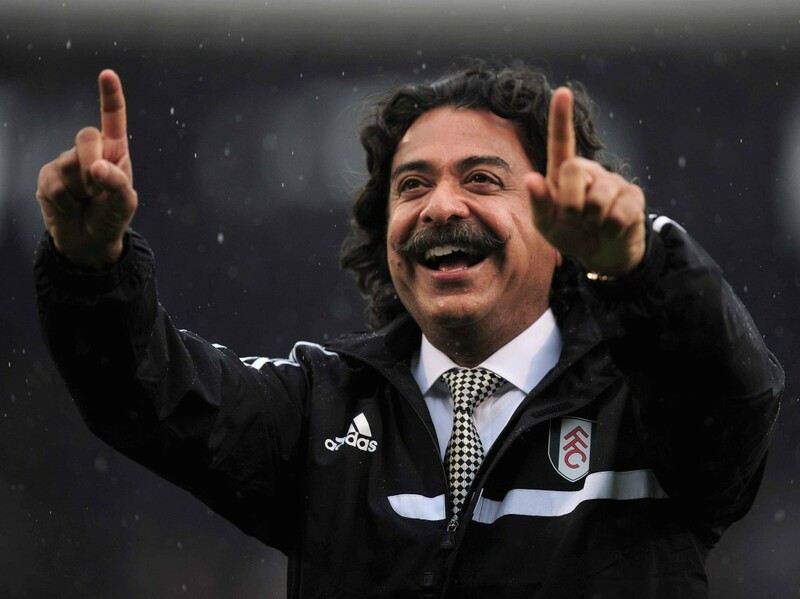 Despite not winning any season since he acquired the side, the team has seen a 53% rise in profit in the past year. The Pakistani-American made most of his wealth from his automobile manufacturing industry Flex-N-Gate. He also owns English side Fulham. Recent rumour has it that he plans to sell the English side to acquire another English side Tottenham Hotspur, a deal that will send his NFL side over to the White Hart Lane, which of course will be good for business as the NFL has declared interest in having a team abroad, but at the same time it will surely leave Jacksonville fans fuming. Stephen Ross is a renowned real estate magnate, having the famous One57 among his assets. He isn’t showing signs of slowing down, he has a $15B ongoing real estate project slated for completion in 2024, but sadly in football terms, it isn’t the same success story. The billionaire opened up to getting fed up with his side’s mediocrity. However, regardless of the team’s failures, his Miami Dolphins have made a 42% rise in profit, netting the franchise a value of $1.85 B.
Stan is an ardent sports lover, and his money is clearly where his mouth or should I say the heart is. No billionaire on the list comes close to having the sporting empire he has built. His Kroenke Sports Enterprises includes franchises in the NHL, NBA, NLL, MLS, EPL (Arsenal) and of course the NFL, all of which are worth a combined $4.1 billion. Wondering where he gets his money from to invest in these franchises? Stan owns one of the largest real estate empires and is one of America’s biggest landowners. He is married to Ann Walton, heir to the ever-growing Walmart empire. The richest NFL team owner is also the co-founder of the giant tech company Microsoft. So you don’t have to be surprised that he also owns NBA’s Portland Trailblazers and also part of MLS’s most valuable team, Seattle Sounders. Allen bought Seattle Seahawks in 1997 for $288 million to prevent the club from moving after much talks with Seattle’s local politicians. In the past year, the franchise has seen a 41% rise in profit, bringing their value to $1.87 billion.